March 2013 MTN Looking for Spring! As a tangible outward sign of our commitment to changing MTN for the better, we're pleased to introduce our new logo. VOLUNTEER OPPORTUNITY! Shape Your City's Access! An excellent volunteer opportunity is available. MTN currently has two board positions open. 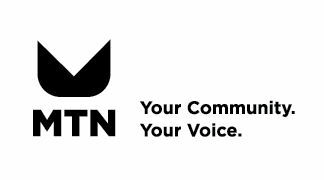 MTN’s nine volunteer board members are appointed by the Minneapolis City Council and Mayor. Board members participate in committee meetings, fundraising activities and monthly board meetings. Board meetings are currently held on the second Monday of the month at 6 p.m. at MTN, 125 SE Main Street. Meeting times/days may change, depending on board member schedules. For more information on how to apply or to submit a nomination, go to www.minneapolismn.gov/boards/openings and click on "Telecommunications Network, Minneapolis.” The application deadline is March 1, 2013. 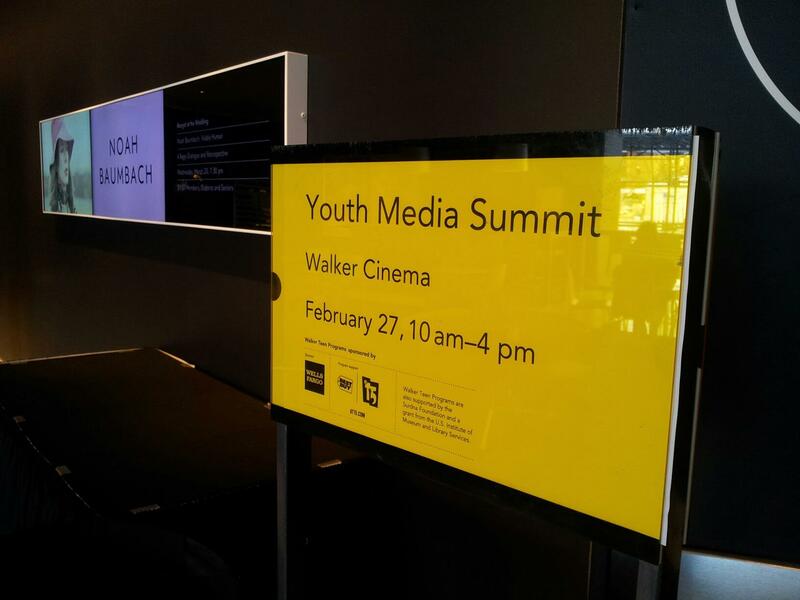 Held on the 27th of February, the Minneapolis Youth Media Summit addressed funding, education, policy and community building issues as they relate to digital and news literacy training for Minneapolis youth. This event, cohosted by the Walker and the Foundation of the Alliance for Community Media (ACM), was free and open to the public. Project Open Voice, SPNN, MTN, CTV North Suburbs, and TCYMN were are all present. The speakers covered three main issues; "Youth Media and News Literacy- The Funder's Perspective", "Education and Workforce Development: Integrating Digital Literacy and Schools", and "Life Skills, Community Building, and Social Impact: The Impact of Youth Media". The day culminated with a youth film screening and youth panelists discussing what media education has done for them and everyone in agreement that access media is an important resource for our youth that must be protected. MTN would like to share with you that there is a Nobel Peace Prize forum commencing on March 8th. It is the only Nobel Peace Prize event outside of Norway and this is the 25th year in action. Maybe you can catch an event! More details! HAVE YOU SUBMITTED YOUR "WAY"? The Minneapolis Television Network is accepting submissions for the "Thirteen Ways of Looking at Minneapolis" TV series that will run—on the newly revamped Channel 17—throughout 2013. If you have a short clip to submit NOW -- before February 15 -- your work could be featured in one of the first two episodes of "Thirteen Ways of Looking at Minneapolis," and could also get screened at the Minneapolis-St. Paul International Film Festival! For details on how you can submit, please visit: http://mtn.org/Video/community/13ways.html. If you have questions about this opportunity and how to take advantage of it, please contact us at michael@mtn.org. Girls Game 2Gether is a summer gaming camp just for teen girls! Campers will develop their own ideas, characters, and an arcade-style Flash game, play video games with other girls, meet with women in the industry of technology, and create a tv show that shows off their games and their thoughts about technology and gaming! 6th-10th graders welcome. This camp is FREE. Participants will need a permission slip from parents for a possible field trip. Snacks provided. Informational meeting for parents before the camps TBA. Monday, July 8th- Friday, July 12th @ 1:00-5:00 p.m.
Have you ever wanted to be a reporter or news anchor, control studio cameras and audio, or direct a tv news show?! MTN’s News Camp will let you and your team create your own news show! Designed for those with little-to-no video production experience, this camp will offer an introduction to MTN’s cameras, studios, and editing systems. Campers will create their own short field video-reports around St. Anthony Main, then produce and star in a news segment in MTN’s studio to air on Public Access. 6th-10th graders welcome! Snacks provided. Cost: $100-Full and Partial Scholarships available. Official Registration begins April 15th. Questions can be directed to Jessica Talley, Youth Media Instructor, at MTN via phone or email: jtalley@mtn.org. 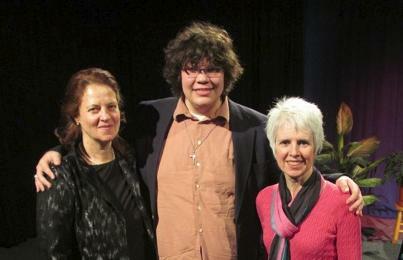 Copyright © 2013 Minneapolis Television Network, All rights reserved. MTN Closed for the Holidays! New Class Offerings and Summer Fun! Spring is Here at MTN! MTN 2014 Winter Course Catalog! Mobilize Youth Media! and More! We've Got An Announcement! Or Two! August 2013 MTN Oh Summer! Don't Go! July 2013 MTN Hot! HOT! Hot! New Things Happening at MTN! May 2013 MTN Is Spring in the Air?! MTN Youth needs your support! Dear MTN Producers and Supporters! Boom Boom goes the Fire Works! !